This is a match that will be long remembered in North Otago sporting folk lore, when the North Otago cricket team, representing the second smallest district in the county, pulled of a stunning upset and took possession of the Hawke Cup. At the start of the representative season North Otago had lost the services of long time Otago squad member Craig Smith who had transferred to Southland due to work commitments. Despite the loss the team was looking stronger than it had been in previous seasons boosted by the addition of new ball bowler David Simpson and Dunedin players Sean Eathorne and Darren Broom. The team had a new captain, Englishman Chris Smith. The new additions complemented the balance of experience from veterans Duncan Drew, Scott Simpson, Paul Odell and David Sewell. It also had the youthful mix of talented school players Ben Cant and Jordan Horrell making the side. 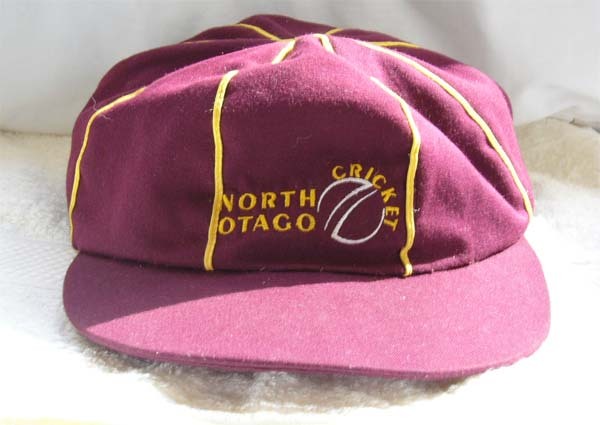 In previous seasons the North Otago team to make a challenge had to win its zone consisting of home and away matches against Southland and Otago Country. Once a winner of the zone was found it would then play the winner of the Canterbury zone with the winner challenging for the Hawke Cup. During the off-season of 2009 the zones were changed with South Canterbury and Mid Canterbury joining the southern zone along with North Otago, Otago Country and Southland. There would still be four matches played in a round robin format with the winner of the zone earning the right to direct challenge for the Hawke Cup. Chris Smith (Captain, St Kevin's) - Englishman employed by North Otago Cricket as player coach during the 2009-10 season. Has played second eleven cricket for Sussex and Nottinghamshire along with minor counties cricket at Oxfordshire and for the Cardiff University Centre of Cricketing Excellence. Toured South Africa with the MCC Universities. Darren Broom (Northeast Valley) - Joined the team at the start of the season and although in the matches leading up to the challenge was yet to show his batting talents showed some with ball with some handy contributions. Darren moved south at the end of the 2008-09 season from Canterbury looking for more opportunities at first class level. He was due to make his first class debut during an Otago match, which was scheduled at the same time as the Hawke Cup Challenge, but after brother Neil was released from the New Zealand team this led to Darren becoming available for North Otago. A week after the challenge he finally made his first class debut against Northern Districts making 119 in a high scoring match. 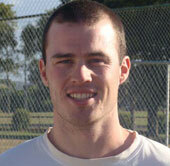 Ben Cant (St Kevin's) - Talented youngster who played for Otago under-19s during the 2009-10 season. A frequent member of Otago age group teams, Ben took up a sports scholarship at Lincoln University at the start of the 2010. His bowling showed a marked improvement over previous seasons taking 16 wickets during the four zonal matches including five wicket bags against Southland and South Canterbury. Sean Eathorne (Carisbrook-Dunedin) - Joined the team at the start of the season and made a number of outstanding contributions with the bat during the zone series scoring centuries against South Canterbury and Mid Canterbury to help make his average an incredible 175 leading into the challenge. 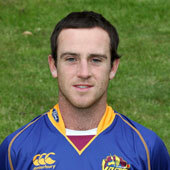 Sean had played for Otago in 5 first class matches and was a current member of the Otago squad during the 2009-2010 season. He had also represented New Zealand at under-19 level. Duncan Drew (Union) - One of the highest run-scores for North Otago at Hawke Cup level, Duncan was also in his second season as one of the selectors for the side. It was as a wicket-keeper batsman that he represented Otago at first class level for four matches during the 2000-01 and 2001-02 seasons but over time gave up the gloves to concentrate on his batting. Scott Simpson (wicketkeeper, Green Island) - Wicket-keeper batsman who had played a number of season's for North Otago since debuting whilst at Waitaki Boys. Scott was a member of the Green Island side which has won the national club championship and would claim its third consecutive senior banner at the end of the 2009-2010 season. Glynn Cameron (Union) - North Otago veteran who was bought into the side halfway through the zone series after some good performances at club level. Making an immediate impact, he combined in a 104 run 7th wicket partnership stand with Paul Odell to help North Otago to a 8 wicket victory against Southland and then a 118 run 6th wicket partnership with Sean Eathorne during the match against South Canterbury. A batsman, who can adjust his batting to occupy the crease or to score his runs quickly depending on the game situation. Paul Odell (Albion) - A handy all-rounder Paul provided good contributions with the bat in the zone series. Against Otago Country he top scored with a dogged 36 of 78 balls in the second innings as North Otago just failed to avoid an innings defeat. During the game against Southland he bought up his first half-century at Hawke Cup level scoring 69 and combining with Cameron for a critical 7th wicket 104 run partnership. Jordan Horrell (Waitaki Boys) - Promising young spin bowler who also opened the bating at club level, Jordan was a member of the Otago under-19s during the 2009-10 season. Head boy at Waitaki Boys he represented North Otago age group teams. David Simpson (Valley) - A new member of the side at the start of the season, David had played representative cricket for Counties before work opportunities bought him to Oamaru. He shared the new ball along with David Sewell, but was also a handy batsman batting in the middle order at club level. A gifted sportsman, he was a member of the North Otago rugby team. David Sewell (Oamaru) - Perhaps the greatest sportsman produced by North Otago, David became the third player from North Otago to represent New Zealand at test match level when he played against Zimbabwe in 1997. At first class level he held the New Zealand record for the player to reach 100 wickets the fastest, now only bettered by Daniel Vettori. When he retired from first class cricket he had taken 218 wickets and is one of the highest wicket takers for Otago in its 140+ years of first class matches. David is only the third player to take over 100 wickets for North Otago. His second season as a North Otago selector. Glenn Paterson (Oamaru - 12th man) - A member of the side for the previous three seasons, Glenn was a middle order batsman who provided a backup wicket-keeping option. A player who liked to score his runs quickly. Members of the squad who did not travel:~ Daniel Conlan (Union), Sean Conlan (St Kevin's), Jamie Ferris (Albion), Brent O'Connor (Albion), Tim O'Malley (St Kevin's) and Jeremiah Shields (Union). Current holders of the Hawke Cup were Manawatu, who had beaten Hawkes Bay to obtain the Cup, and had successfully defended it against Bay of Plenty and Marlborough. Against Bay of Plenty they had scored 659 runs with New Zealand player Jamie How scoring 224 in a comprehensive innings and 284 run victory. How wasn't available for the match against North Otago but the home side still presented a formidable challenge. Written-off in some circles, there was a quiet confidence amongst the team as they travelled north to meet the holders Manawatu at Palmerston North. Amongst the 14 who made the trip north, along with the twelve players and manager Peter Cartwright, Scott Cameron was there as assistant manager and provided the North Otago website with daily reports along with photo's on the match. They are reproduced below. The first days play in the 4th Hawke Cup Challenge by the North Otago Cricket Team ended with both teams not claiming a major advantage over the other. After winning the toss and electing to bat, North Otago struggled against the accurate Manawatu bowling. Finding themselves 30-4, Scott Simpson and Duncan Drew combined for a good partnership of 50 before the loss of Simpson(30) then the loss of Glynn Cameron (0), saw themselves again struggling at 80-6 at lunch. The tail order managed to move the total to 110, batting around Drew but when number 11 batsman David Sewell walked to the crease the total was only 116-9 and the holders right on top on a good batting wicket. Sewell and Drew then played intelligently scoring singles with ease and punishing the bad ball. When Drew was caught behind for a superb 102, he and Sewell had scored 91 runs together breaking the 10th wicket rep partnership. Sewell played a great innings and finished on 37 not out. North Otago all out for 207, a total that looked to be sub-par on a good batting wicket. Needing quick wickets, Sewell immediately responded taking the first wicket leg before wicket. North Otago soon had them two down with first change bowler, Darren Broom taking the second wicket, caught out by Glynn Cameron. Needing another wicket before stumps were drawn, all-rounder Ben Cant took the third wicket of the innings another lbw. When stumps were drawn Manawatu were 61-3, leaving the game still evenly poised. Duncan Drew takes a quick single to bring up his century. David Sewell walks back to the start of his bowling run-up. North Otago find themselves in a strong position after the completion of the second days play in the Hawke Cup Challenge. They lead by 184 runs with 7 wickets in hand and led after the first innings by 46 runs. Starting the day Manawatu moved the total to 99 before the loss of the first wicket of the day, Cant taking the important wicket of Sandbrook for 38. This started a collapse that saw the home side lose 5 wickets for the addition of only 12 runs, and the score at 111/8 still 96 behind the North Otago total. North Otago was forced to work hard for the 9th wicket before captain Chris Smith bought himself on to bowl and broke the partnership, 142/9. The final wicket combined for 17 runs before it was taken, Manawatu all out for 159, North Otago taking the all important first innings lead. Looking to occupy the crease Smith and Ben Cant took their team safely through to tea, with Smith dominating the scoring, being 32 not out and Cant 8 not out, North Otago 42/0. Soon after tea however Smith was bowled for 32, and then Sean Eathorne was caught behind for 4. Cant and Darren Broom then combined for a good partnership of 56 before the loss of Cant who was providing an anchor role. This bought in first innings century maker Duncan Drew and the pair safely moved their side to stumps, being 138/3 a 186 run lead. Broom bought up his first half century for North Otago and was 58 not out while Drew was 12 not out. With North Otago gaining first innings, the final days play looks to be an exciting day with Manawatu looking to get North Otago out cheaply for the chance to gain an outright win, while North Otago will be aiming to bat the home out of the game. Darren Broom plays a cover drive for four. In what must go down as one of the greatest days of North Otago sports, the North Otago Cricket team won the Hawke Cup for the first time in 99 years and four challenges. After being 138/3 overnight, Darren Broom looked to move the total scoring his runs quickly. Drew and Broom moved the total to 177 before the wicket of Drew was lost for 18 to the bowling of Templeman. This started a collapse that saw the away team lose their last 6 wickets for only 92 runs. Broom was the main contributor of the innings top scoring with a timely 133, his first century in North Otago colours. This left Manawatu 58 over's to score 311 runs to retain the cup. Manawatu looked to score quickly but with wickets constantly falling found it difficult to chase the required total. Veteran David Sewell, playing in his second challenge, was threatening with the ball taking three of the first four wickets to leave the home side struggling on 64-4. North Otago looked good in the field with Broom, fielding on the boundary, threw the ball over the wickets to take the other wicket through a run out. Short was the next to go run out from a direct hit from captain Chris Smith, 88-5. This brought in Ian Sandbrook who played a good innings of 21 before he was out lbw to Simpson, 133-7. The tail collapsed with the required run rate escalating to over 7 an over and it was left to captain Chris Smith to take the final three wickets. Manawatu all out for 151, a win to North Otago by 159 runs. Two days after the match Ian Sandbrook, who played against North Otago sent through an congratulatory email. He said that "It's a great achievement for such a small association and something you can be incredibly proud of. The team played out of their skins and conducted themselves superbly throughout the weekend. Although we were gutted to lose the trophy after such a great season for us, we were simply beaten by a better team on the day and your win was thoroughly deserved. I wish the team all the best defending the trophy and I know you will keep the proud traditions of the Hawke Cup alive and well in Oamaru!" For weeks after the match the North Otago team was the talk of Otago. The team was greeted by the mayor outside the Council Chambers when the team bus arrived in Oamaru and articles were published in many newspapers throughout New Zealand on what the side had accomplished. The side would in May win the Aotea Electric Team of the Year at the Otago Sports Awards, a first for a North Otago sports team.